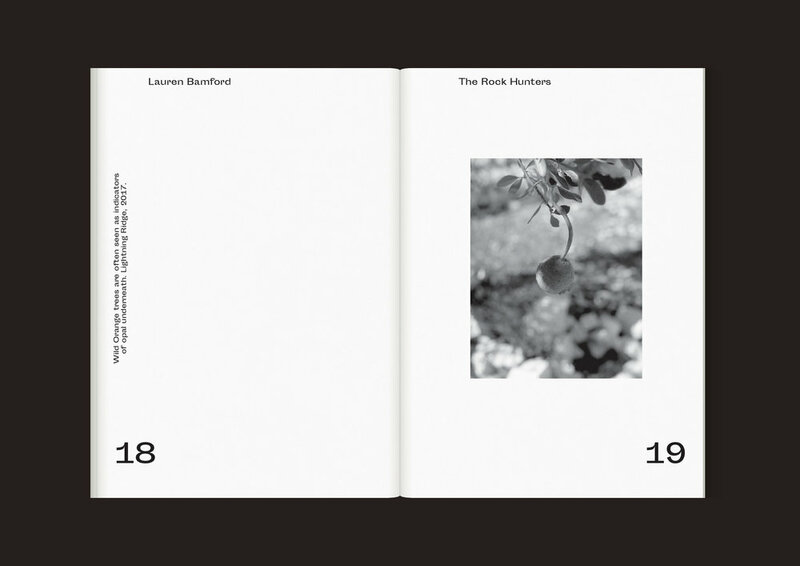 Lauren Bamford is an Australian artist with several years experience exhibiting fine art photography in a number of Australian galleries, in addition to a large scope of commercial collaboration with notable book publishers, magazines, advertising agencies and brands. 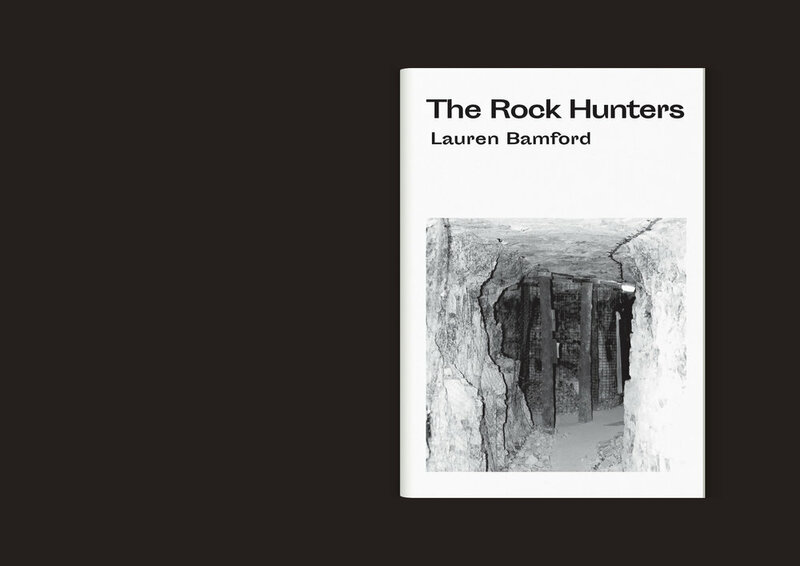 The Rock Hunters is a photographic series inspired by the shared hobby of Bamford’s grandparents, Bonnie and Roy in the 1960s and ’70s, and the town of Lightning Ridge. 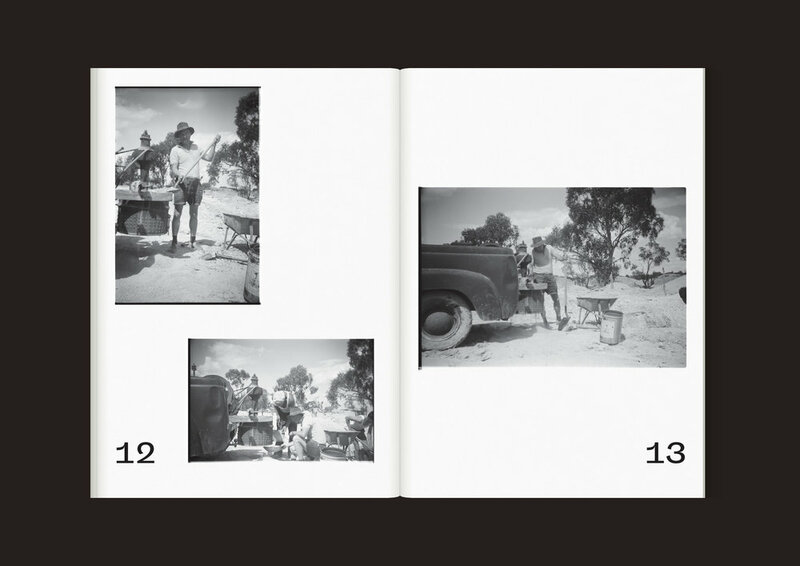 Motivated by her grandmother’s recollect­ions, Bamford travelled north and created a series of documentary images throughout the areas of White Cliffs, and more predominantly, Lightning Ridge, NSW – the town most frequented by her grandparents. The Rock Hunters combines these pictures with earlier vernacular imagery of Bonnie and Roy. 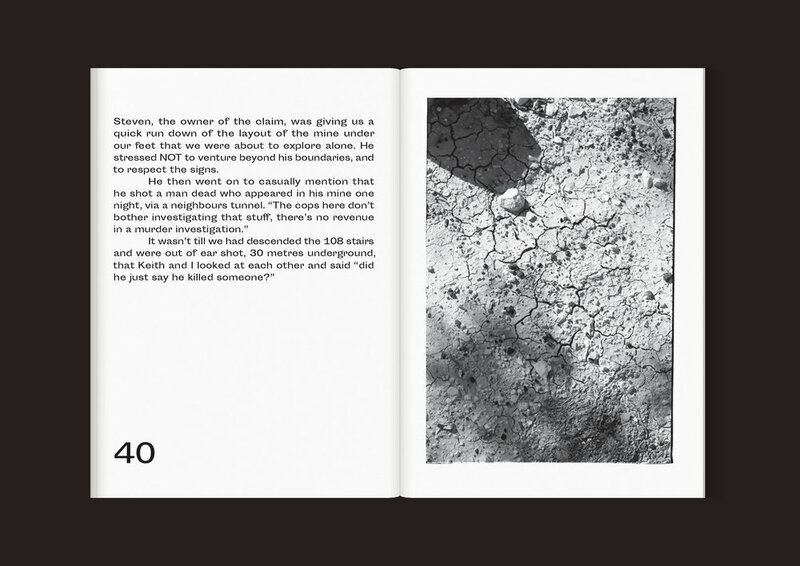 This book was presented alongside Bamford's exhibition at c3 Contemporary Art Space. 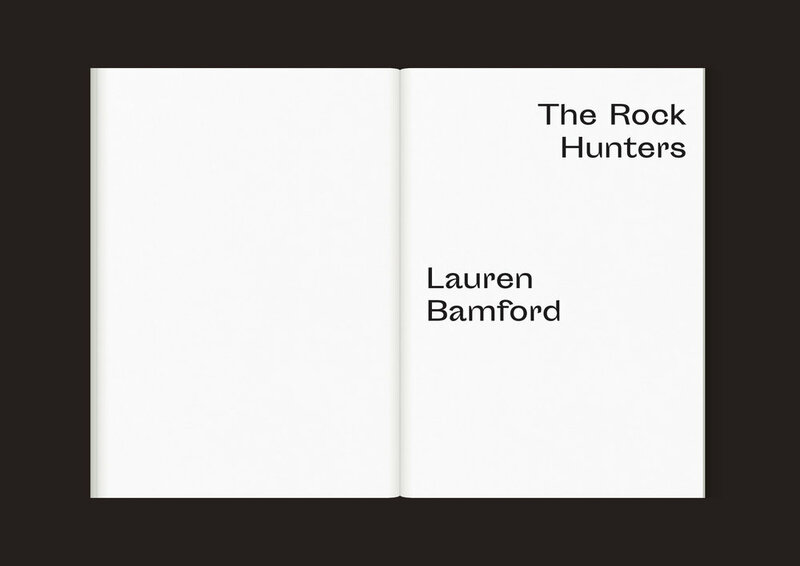 The Rock Hunters book and flatplan were presented alongside Bamford's exhibition at c3 Contemporary Art Space. Published by Tempo Haus (Melbourne). Photo courtesy of Lauren Bamford.